Dr. Robert Kegan is a pioneer of human development, having spent his life carefully studying and testing his theories of adult development and psychological maturation. Dr. Kegan is perhaps best known for his work on Orders of Consciousness and Subject-Object Theory, and he is the author of several critically acclaimed books that explore the contours and content of human development. Here Dr. Kegan talks with Ken Wilber about his landmark book In Over Our Heads, exploring the many ways our cultural lack of developmental perspectives is actively inhibiting development itself, leaving the majority of us ill-equipped to meet the demands of our 21st century lives. Have you ever found yourself watching the news, the latest political debates, The Daily Show or Bill Maher or some other current-events programming, and upon seeing the inevitable 50-car pileup of conflicting perspectives and values, you say to yourself, “Gee, a simple understanding of development would really clean this discussion up and help move it along…”? Human development has been rigorously studied and tested by some of the world’s brightest minds, and we now have a tremendous amount of cross-cultural evidence that development is real—that various capacities of human beings grow through several distinct stages of psychological maturity. And yet, despite this enormous body of evidence, our culture seems to know almost nothing about human development, at least as it pertains to adults. As Dr. Kegan says, “We have not really fully metabolized the notion that adulthood itself is a period of development.” In other words, human development isn’t just for kids and moody teenagers—rather, it’s a life-long journey. This is the missing piece of the puzzle, the all-important Rosetta Stone we need in order to make sense of our 21st-century world, to find solutions for our most pressing global problems, and to communicate those solutions in a way that more people can actually understand and support. Human development, particularly adult development, is an idea that could change the world. So why has it been so difficult getting these ideas out there? Listen as Ken and Dr. Kegan offer their own opinions…. One of the most pioneering principles described by Dr. Kegan’s work is known as “Subject-Object Theory”, which offers remarkable insight into the actual mechanics of transformation, both psychologically and spiritually. The idea is simple, but the implications are profound—essentially, the subject of one stage becomes the object of the subject of the next stage. 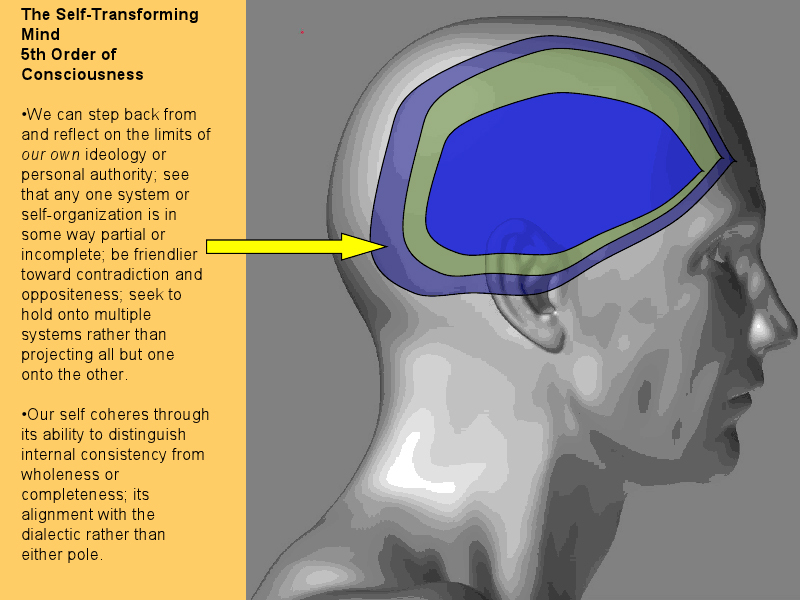 Interestingly, this process of “subject becoming object” does not just describe the process of “vertical growth” through psychological stages of consciousness, but also “horizontal growth” through states of spiritual awareness and awakening. Meditation, for example, is a practice of making subject into object: of simply witnessing our own subjective minds with non-attached equanimity, experiencing our subjective thoughts, emotions, sensations, and impulses as objects in our awareness, like clouds floating through the empty expanse of the sky. With enough training and practice, the spiritual path ultimately leads us to the point of “Absolute Subjectivity”—that point where we are completely “emptied out” and there is no more subject left to be made into object, and all that remains is the effortless and seamless embrace of nondual awareness. Dr. Kegan describes two sets of studies, each conducted with several hundred subjects, and each measuring two different developmental schemas: Dr. Kegan’s Subject-Object interview, and Jane Loevinger’s stages of development. The results were fascinating, and just a little bit alarming. When asking the question, “What percentage of the American population are not developmentally equipped to meet the demands of the modern world?” we get the exact same result in both studies: a staggering 58%. Which means that the majority of Americans are quite literally “in over their heads”—they are Order 1, Order 2, or Order 3 people living in an Order 4 world. Needless to say, this is a huge problem—as much of a global crisis as any other, if not more so—and is one of the main reasons our media, politics, economics, and culture remain as gridlocked as they are. 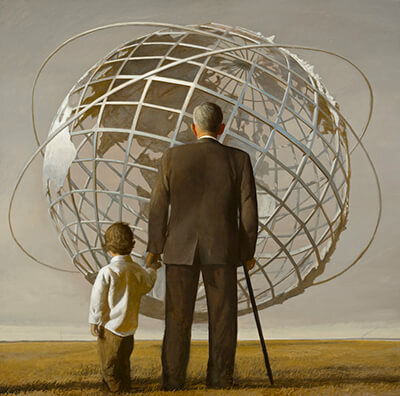 Dr. Kegan and Ken go on to discuss the Fifth Order of psychological development, which loosely correlates to the postmodern stage of development. But within this Fifth Order of consciousness, Dr. Kegan identifies two different kinds of postmodernism—one that is largely deconstructive, nihilistic, and rabidly non-hierarchical, and one that is reconstructive, integrative, and holarchical. The former is constitutionally opposed to the very notion of big pictures, and is largely responsible for the overall lack of developmental perspectives in our culture. 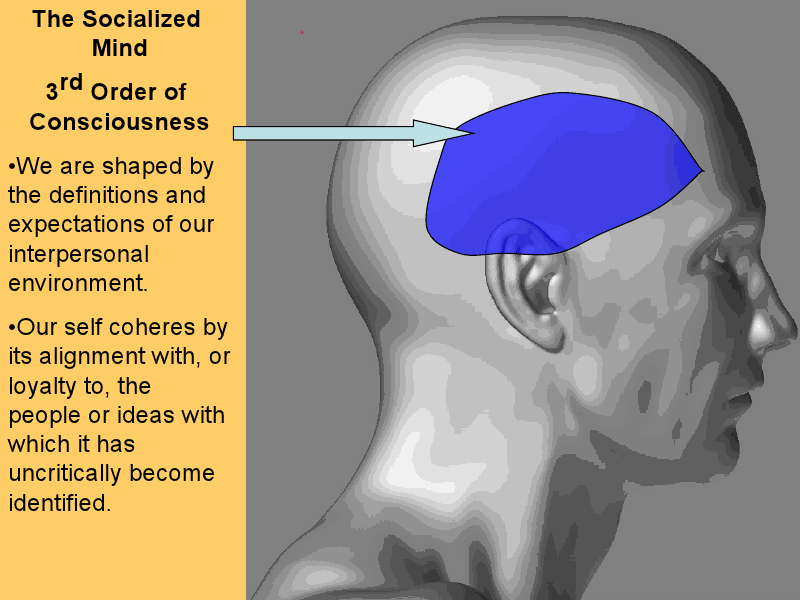 (Ironically, one of the main reasons that so many people are ill-equipped to meet the demands of the Fourth-Order world comes from the rampant deconstruction that often comes from Fifth-Order consciousness. Without a cultural appreciation for human development, we lack the tools we need to solve this issue—as Ken says, it’s like trying to solve the obesity epidemic by removing the scales from every bathroom in the country.) The latter, on the other hand, tries to create better and better meta-theories—theories about theory-making itself—and is doing everything it possibly can to establish human development as the cornerstone of our psychological, cultural, and social wellbeing. Who will win this Fifth-Order battle? After several decades of deconstruction, do we finally have a reason to be optimistic? We think so…. Fifth Order: Inter-individual—Interpenetration of self systems. At each step, the subject of the preceding stage becomes the object of the following stage. For example: the subjects of the impulsive stage (Order 1) are the individual’s impulses and perceptions, and its objects are the reflexes. The subject of the imperial stage (Order 2) are the individual’s needs, interests, and desires, and its objects are the individual’s impulses and perceptions. 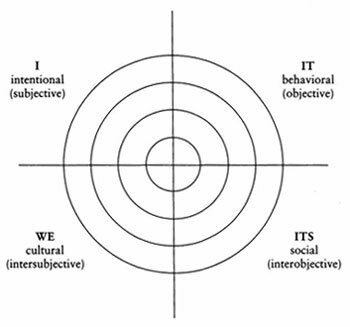 The subject of theinterpersonal stage (Order 3) are interpersonal relationships and mutuality, and its objects are the individual’s needs, interests, and desires. The subject of the institutional stage (Order 4) are the individual’s authorship, identity, and ideology, and its objects are interpersonal relationships and mutuality. The subject of the inter-individual stage (Order 5) is “the interpenetrability of self-systems”, and its objects are the individual’s authorship, identity, and ideology. As Dr. Kegan points out, one of the most complete ways to illustrate how levels of developmental complexity exist in the subjective, intersubjective, objective, and interobjective aspects of reality is the diagram to the left.